The new year is a great opportunity to take stock of your habits and make some conscious, positive changes. As dentists, of course we think that your oral hygiene routine is the perfect place to start! If you are ready for a revamp in 2019, read on to learn more about how you can make sure you’re making the right decisions for your teeth. It is important to make sure you are choosing the right tools to take care of your teeth. Different people have different toothbrush needs. For example, if you have braces you’ll want to choose a brush that has bristles that are stiff enough to clean between your brackets. If you have sensitive gums, you’ll want to use a brush with softer bristles so that you can clean your gums gently and thoroughly. Your dentist would be happy to help you choose the right toothbrush for your unique needs. You should plan to get a new toothbrush every 3 months, and after every time you are sick, in order to keep everything sanitary! Toothpaste and Mouthwash and Floss, Oh My! Every step of the oral hygiene process is important. Many adults only make time to brush their teeth with a toothbrush and toothpaste. While this is an essential step, don’t stop there! Flossing daily helps ensure that your teeth and gums stay clean and healthy. The more often you floss, the less sensitive your gums will be at your dental checkups! Mouthwash is another great hygiene product to add to your routine that can help you keep your breath fresh, while also killing the bad bacteria in your mouth. Different kind of mouthwash exist for difference oral issues and preferences, so find a brand and flavor that work for you! As adult, you should be performing your full oral hygiene routine at least twice a day. 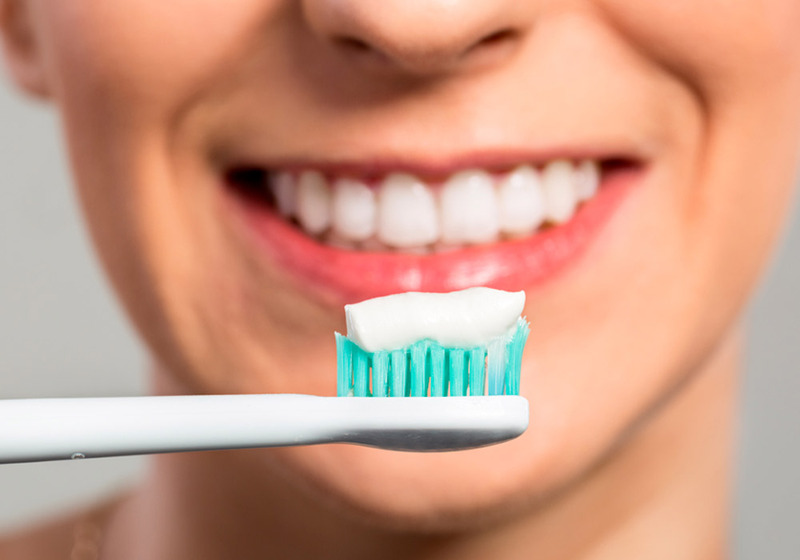 Most people are in the habit of at least brushing their teeth once in the morning before they leave for the day, and once again at night before they go to bed. If possible, try to pack a toothbrush and toothpaste with you when you go to work or school so that you can brush your teeth after lunch! It is also important to make sure you have all the hygiene tools you need when you travel. On your next trip, bring a travel-sized mouthwash and toothpaste, along with your favorite floss and toothbrush! There are plenty of travel-friendly toothbrush cases out there to keep your brush safe and sanitary. Along with keeping up with your oral hygiene routine, be sure to schedule and attend your regular dental checkups! When you come in to our dental office, we can give your teeth a thorough cleaning and check up on any oral health issues or toothaches that you may be experiencing. If you’re due for a cleaning, schedule your next appointment with us today!